I'll need to adjust the PlayerClass file to include a list of allowedItem tags so that when a custom data file is appended, the classes added will be able to use items from the default item list and from the module item list. Recall that Items now house the list for who can use them so that when you create an item you then select the classes that can use that item. Since I wasn't allowing builder's to modify the default list of classes, there was no way to add custom created items to the PlayerClass list of items usable. 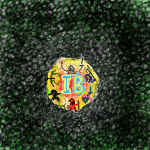 Such a nice screenie of IB on the iPad . IB is really shining with the big touch screen real estate. The Raventhal is up and running now... just needs lots of play testing to make sure no plot links were broken in the conversion. Once that is done I'll work on importing The Elderin Stone and Lanterna 1 and 2. I could import Red Carnival as well, but it had so much customization that it probably won't work with IBbasic. Would probably be good to import it to IB though (the birthday is similar boat, but H&C should be okay). Hearkenwold is probably best to stay on IB since it is always expanding and not well suited for IBbasic's purpose (plus eventually IB will be on Mobile as well). Nice, again this is really fast . Red Carnival is indeed not fittng so well for conversion - quite a few customized mechanics and also vertical maps. I think its universe will make it over to IB much later on (and I will make sure to somehow integrate a bit of Red Carnival by reference at least ). slowdive wrote: Hearkenwold is probably best to stay on IB since it is always expanding and not well suited for IBbasic's purpose (plus eventually IB will be on Mobile as well). I agree with this. While I appreciate the work you did porting it over to Android, I think in its original conception, the module was meant to be for the PC. Especially as it grows larger and more complex. Did some more clean up work on The Raventhal and I think it is ready to go now. I also imported The Elderin Stone and lanterna... They need some work still though, but not much. I think I will have the first beta ready this weekend for testing. Awesome, that is gonna be great fun ! I will be quite busy in RL next weekend (short trip that is a birthday present for my wife, so feedback might come a bit delayed - but come it will ). Sounds great! I'm struggling for time at the minute (partly life, mainly work) but I'm slowly working through Hearkenwold and I'm looking forward to having a go on the beta. There is a "READ ME.txt" file in there with some instructions for installing on PC (no installation, just run exe from extracted folder) and Android. The Raventhal is mostly working I think, but will need some thorough testing.